While we all love our furry friends, there’s no denying a cat peeing out the litter box is quite the annoyance. Our felines have a litter box for a reason – so they can use the bathroom in them. If your cat starts to use other areas to go to the bathroom, you have a problem on your hands. Cleaning up pee outside the litter box is never, ever fun. The clean is bad, but the horrific smell can be even worse. So what do you do when the cat starts peeing outside the litter box? How do you stop your furry friend from making messes? The first step is to figure out why your furball is not using the litter box. 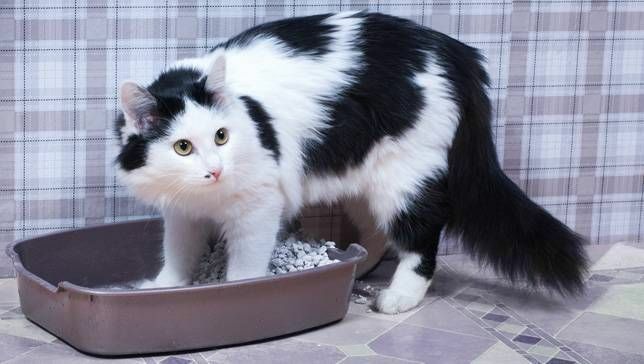 Why Your Cat is Peeing Outside the Litter Box? Each and every cat has a different reason why they’re not using their box. And while each furball is a little different, we have detailed a few common issues as to why the cat is peeing outside the litter box. Medical Issues: Cats who have medical problems often can’t make it to the litter box every time. Issues like urinary tract infections, diabetes, kidney disease, diabetes, and even cat arthritis can cause problems using the litter box. Difficult to Get to Litter Box: This one is particularly the case for older cats. 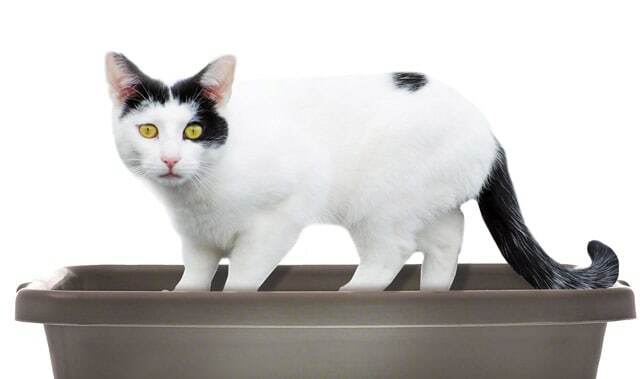 If the litter box is down three flights of stairs or tucked away in a hard to get to the location, then it should be no surprise when your cat decides it isn’t worth the effort to get there any longer. New Litter: Cats are rarely fans of change. If you change up the litter in their box, you may find they stop using the box in an act of revolt for a few days. This is common, and most cats go back to the box after an adjustment period. Too Many Other Pets: Cats can be territorial creatures. If one cat bullies the other cats away from the litter box, then the submissive cats in your family may start avoiding the box. Occasionally, the only option is to get another litter box for the bullied animals. High Stress: If your furball is stressed, then using the litter box may not be a priority. Cats get stressed when they find change in their life, other cats in their territory, or too much time away from their owner. 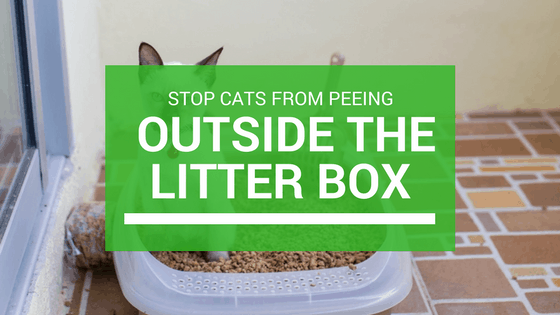 Now, that we understand why cats pee outside the litter box on occasion, let’s talk about how to stop it. As each cat is different, there are a few options to try and curtail this behavior. First and foremost, you need to define why your cat is not using the litter box. If there are just a few sprays of urination, then your cat is marking territory. If there is a large puddle, then the cat is suffering from inappropriate urination. Obviously, if your cat is spraying different areas of your home, then the issue is another cat around. This could be a new cat living in your home or a cat that’s begun hanging around your apartment or home. Curtailing this behavior begins with helping your cat adjust to the new felines. For cats with inappropriate urination issues, the next step is finding the why. To begin, think about any changes your cat has experienced lately. If changes haven’t taken place, then look at your cat’s diet and health. Maybe a vet visit is in the cards. Don’t let peeing outside the litter box become a habit for your cat. You need to address things quickly. Clean the litter box. Make sure it’s in an easy to access locale. If you catch your cat peeing outside of it, immediately pick them up and carrying the kitty to the litter box. For multi-cat households, try to find space for at least a couple litter boxes. If your cat is feeling territorial, make sure your cat feels comfortable. Offer them a little extra attention for a week or two. Your cat will be attracted back to its own urine smell. As such, you’ll need to completely clean the area he or she has urinated on. This can help curtail the habit before it begins. If you’ve been feeding your furry friend low-quality dry cat food for years, then it should come as no surprise when they stop using the litter box. Dehydration can cause a lot of health issues in the furball, which in turn, often leads to litter box issues. For many cat owners, a few quick fixes can get your cat back to the litter box. Start by ensuring the litter box is crystal clean. Consider adding a second box. Change the litter if possible. Move the location of the box, so it’s easier to access for your furry friends. New cats in the household often cause inappropriate urination. There are a lot of social dynamics at play when felines live together. As such, a new box may be needed. If your cats get in a fight near the box, one of them may be left with horrid memories that ensure they refuse to use the box. If you can’t figure out why your cat is peeing outside the litter box and you’ve made a few adjustments for your furry friend, a trip to the vet may be in order. Your vet will help you get to the bottom of your cat’s issue and find the proper solution for your feline. How to stop cats from peeing outside the litter box? Find out why your cat is having issues and then address the problem with the quick fixes listed above. If problems persist, make sure to contact your vet and get to the bottom of things. Don’t delay! You don’t want this issue to become a habit for your furball.